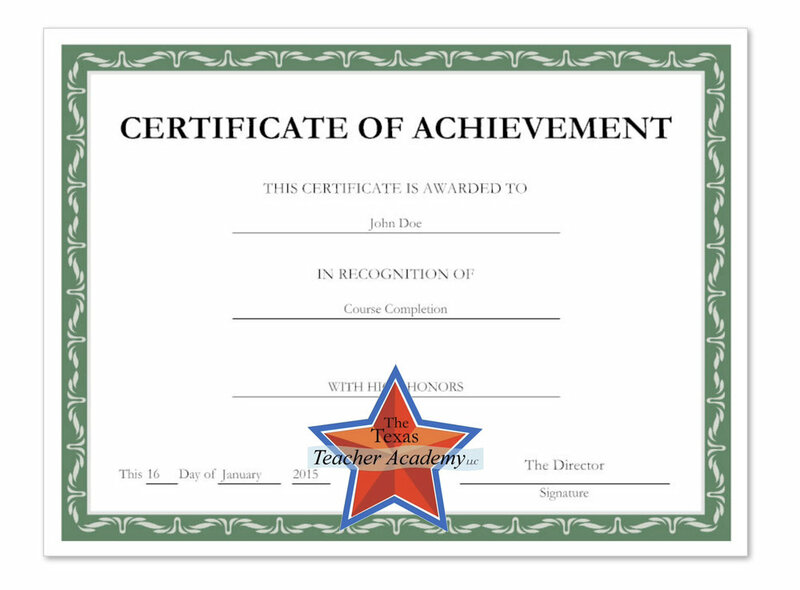 Texas Teacher Academy also offers clock hours online and in person for an affordable price. Texas Teacher Academy wants to be a partner with you to stay current with required clock hours. Our online clock hour courses are designed to be informative and engaging. We also provide onsite training. If you want us to come to your center, contact us now for pricing and availability. Until then, try our free class now to see the benefits of choosing Texas Teacher Academy for your clock hours. Listening can be considered a lost art. This class will discuss how effectively listening to children, colleagues, parents and community will support a quality early childhood environment. Ethics guides our profession as early childhood educators. In this course, you will learn about what our professional ethics are, how they are important to our work and how to use them to make decisions. take a look at our future offerings that will be available soon! Play is the cornerstone of learning in early childhood settings. This course will discuss the stages of play and their role in supporting the education of young children. Participants will receive 1 clock hour. This course will address how early childhood teachers and administrators can create a healthy environment that is safe for children in our schools. Participants will earn 2 clock hours for this class. The acquisition of language in early childhood is one of the cornerstones and learning. The course will address the stages of language acquisition and how early childhood teachers can support the development of language in students. This will be for 1 clock hour. This course will address how teachers can implement positive guidance and discipline practices. This is one of the pillars of a quality program. We will discuss how to incorporate a consistent program of positive discipline in early childhood settings. This will be worth 2 clock hours. It is important for early childhood teachers to effectively manage the classroom in order to support the academic development of students in our care. This class will discuss strategies that will support a quality classroom management skills. This class will be worth 2 clock hours. Every educator needs to be aware of the cultural foundation of the children in their care. This supports a the academic and social development of children. This course will discuss how culturally responsive practices support the development of children. This will be worth 1 clock hour. During the early childhood years, it is important and educators support the development of a healthy social and emotional environment for children. Participants will earn 2 clock hours for this class. The ability to assess how well students are mastering the material adds to a quality educational program. This class will discuss summative and formative assessments and how they can be used to ensure students are learning and growing. This class will be worth 1 class hour. The culture and climate of your school can be seen and felt. This class will discuss how to create a positive climate and culture of your school and the benefits. This class with be for 1 clock hour. This class is specifically for leaders or those aspiring to be leaders. Doing regular walk throughs will support accountability, build trust and create a quality teaching staff for the school. This class will discuss why walkthroughs are important and the types of walkthroughs. This is worth 1 hour. This class is for leaders and those aspiring to be leaders. The teachers and faculty you hire for your campus is important to the health of your school and the perception with your families. This class will discuss how to effectively hire and manage new faculty. This class will be worth 2 clock hours. Listening can be considered a lost art. This class will discuss how effectively listening to children, colleagues, parents and community will support a quality early childhood environment. This class will be worth 1 clock hour. Our online courses are hosted on our partner AdvanceEdu learning management platform.